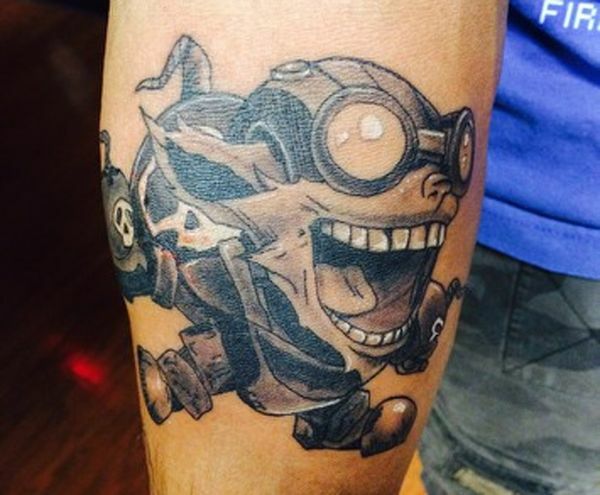 League of Legends (LoL) wasn’t supposed to be a smash hit. 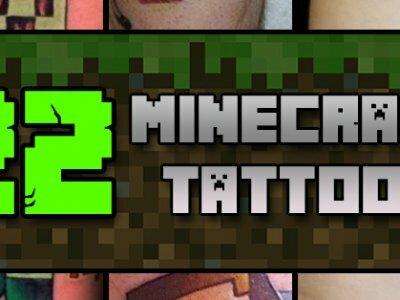 Released in 2009 (late 2009), the developers behind this game were under the impression that they’d created something fun, something interesting, and something a little quirky that might differentiate them from the other massive multiplayer games that have been released in that time frame. 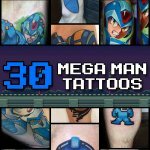 They had no idea that they had created what would go on to become one of the most influential video games in human history. 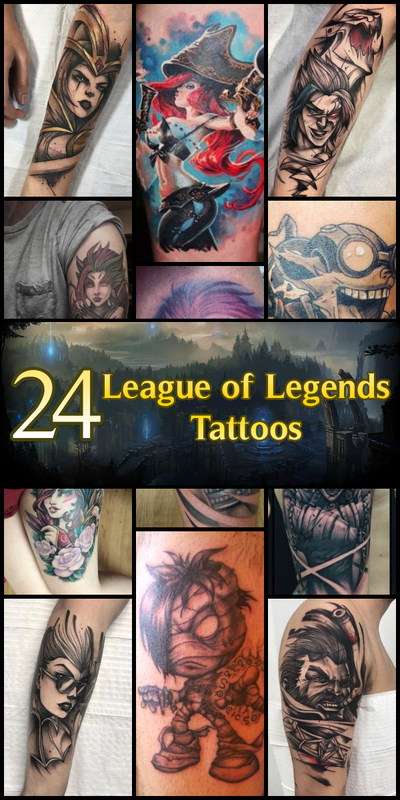 League of Legends grew exponentially in 2009 and 2010, and by the time the summer of 2012 had rolled around the industry was crowning League of Legends as the most frequently played PC game on the planet. 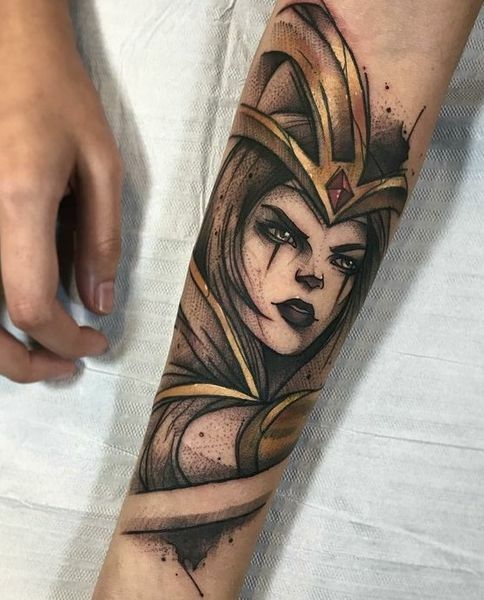 More than 67 million people played LOL every month (27 million people every day) and it established the new e-ports community and continues to be one of the more popular competitive games on the planet. 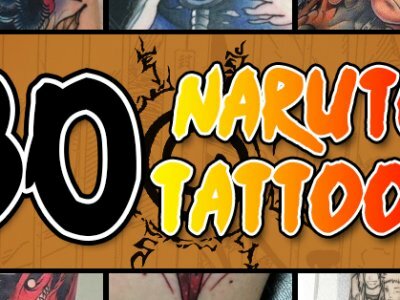 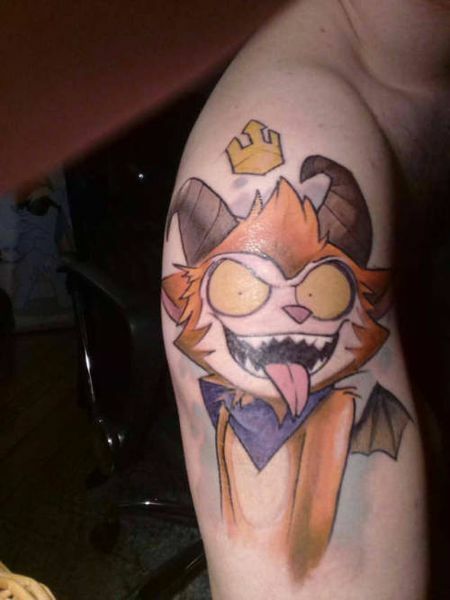 Competitive League of Legends players have been known to tattoo their favorite characters on their bodies and some have even taken to tattooing their awards (especially those from big competitions) on their bodies, too. 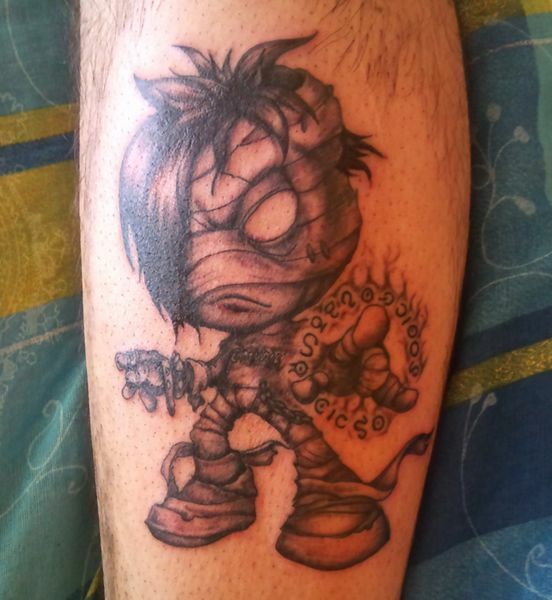 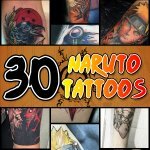 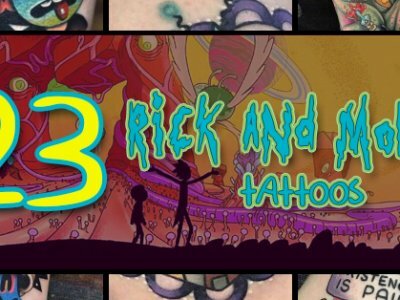 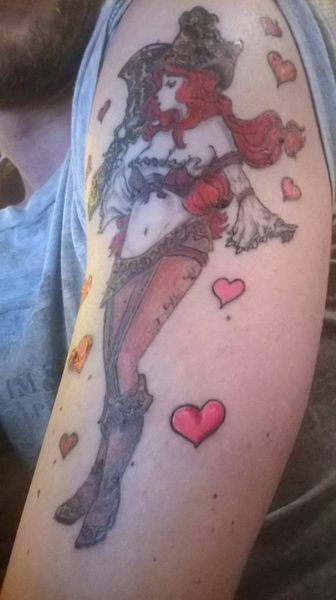 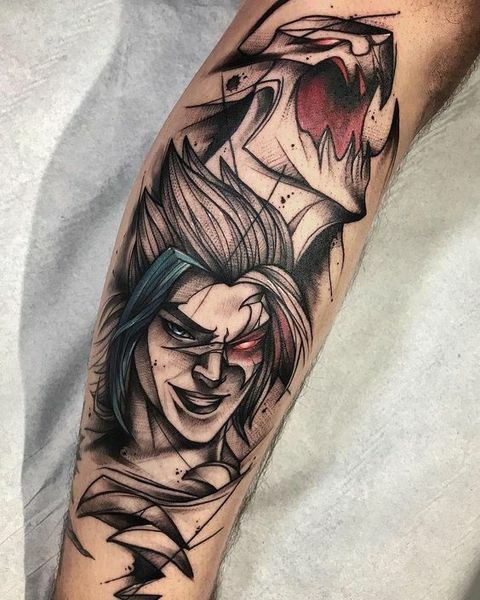 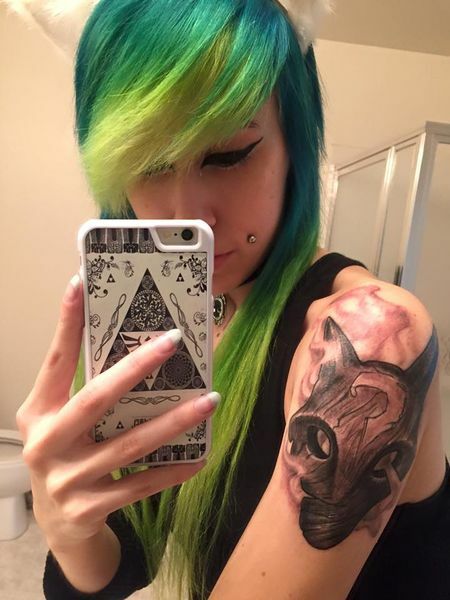 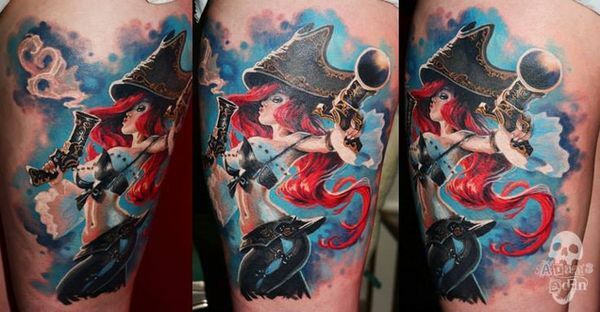 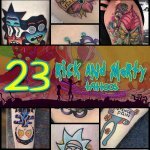 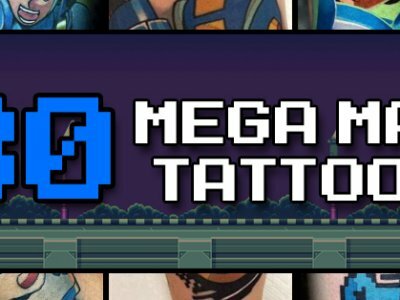 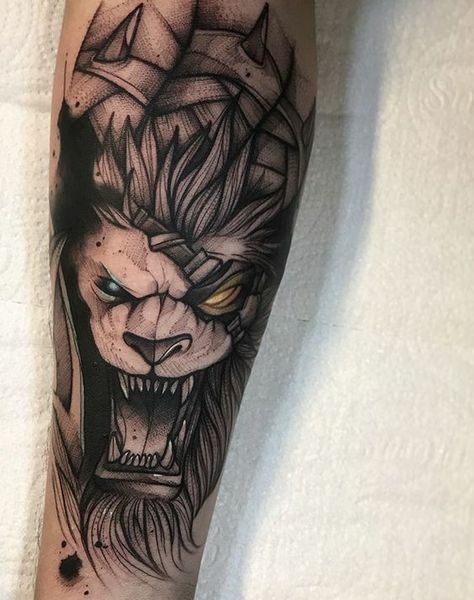 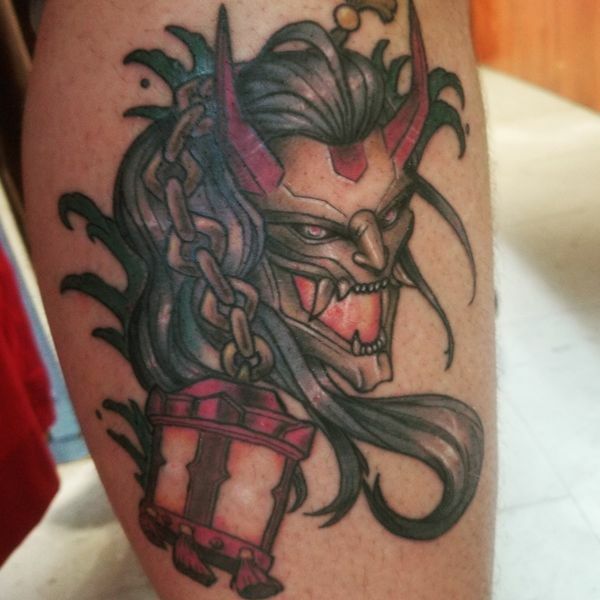 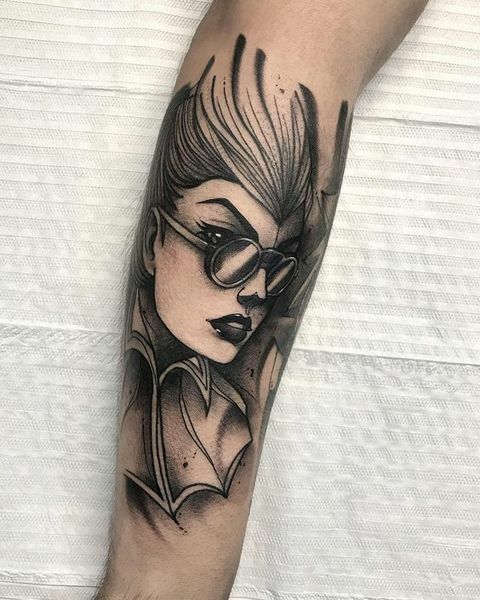 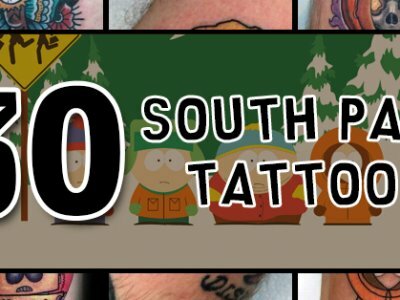 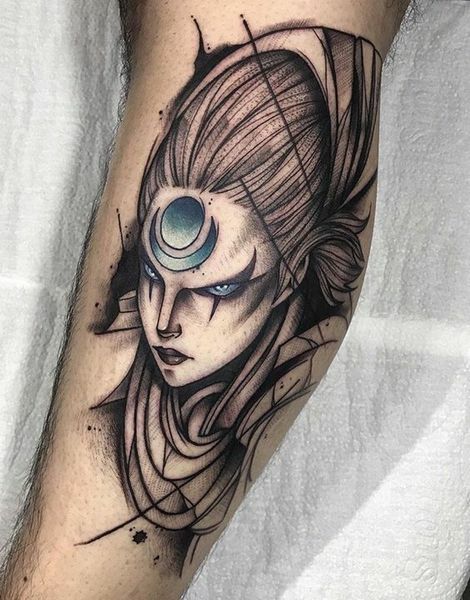 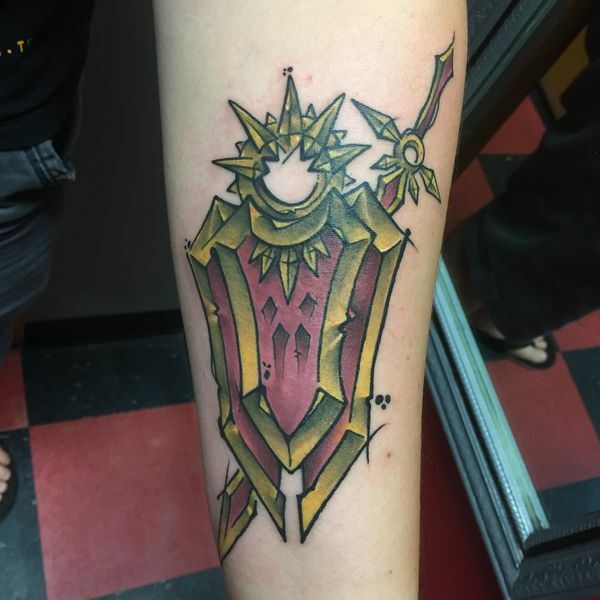 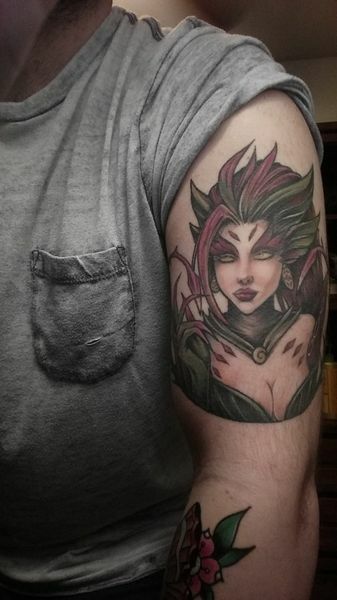 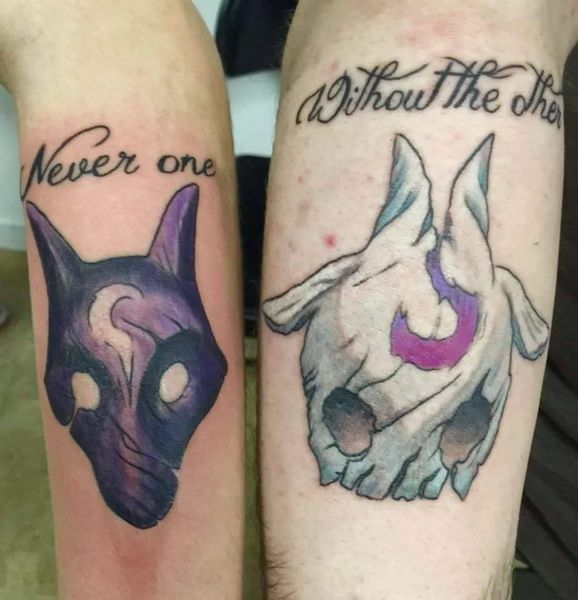 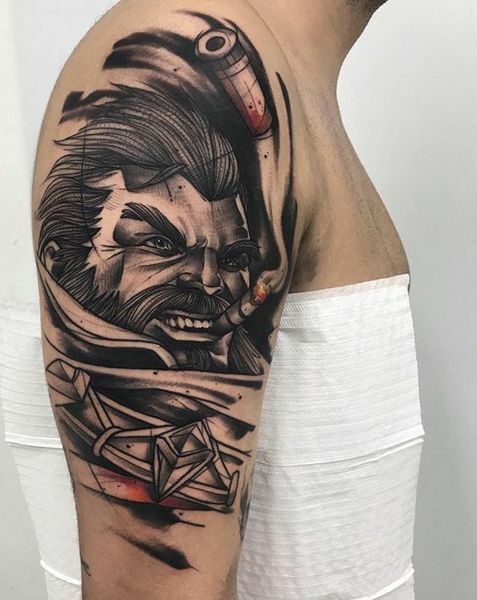 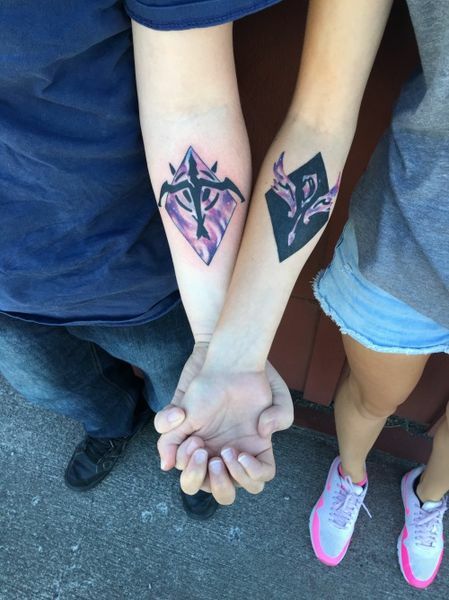 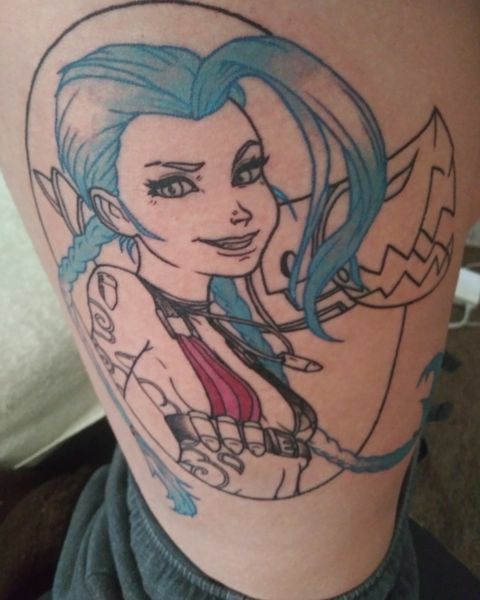 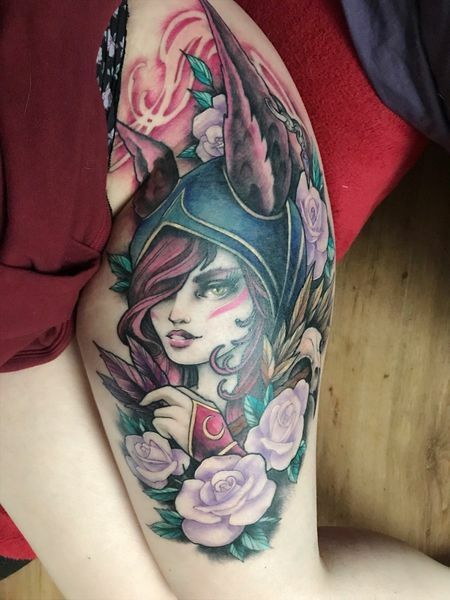 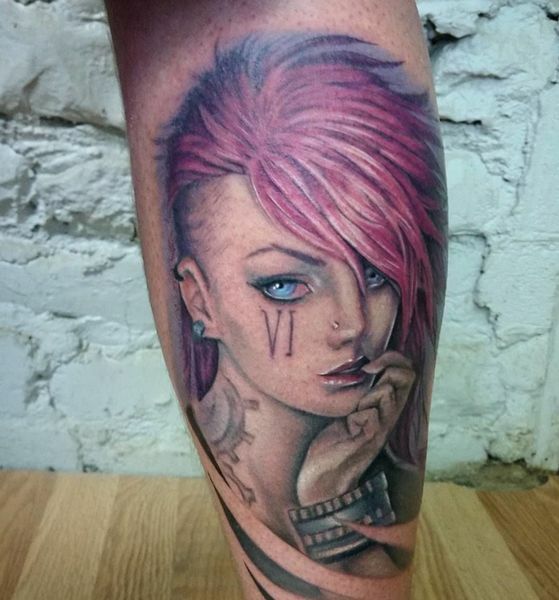 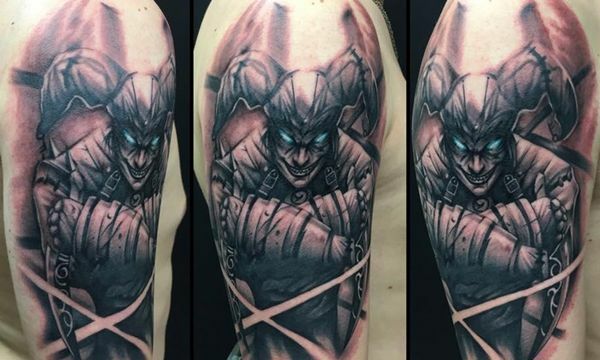 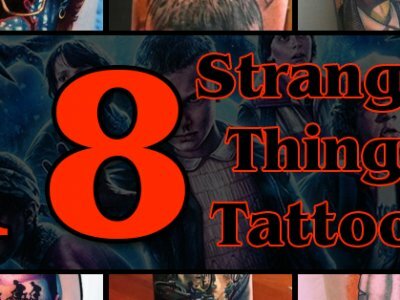 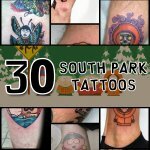 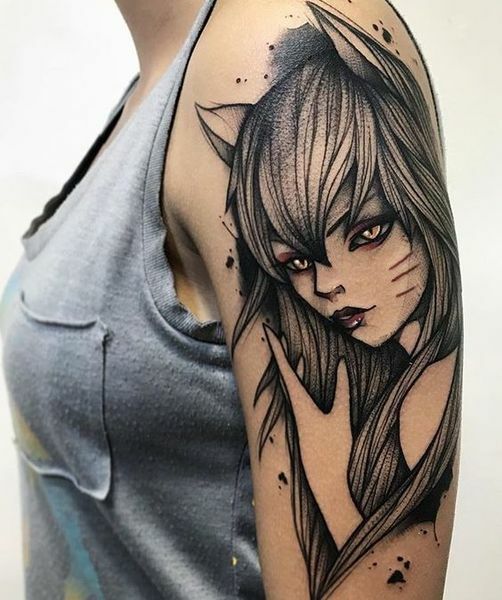 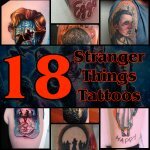 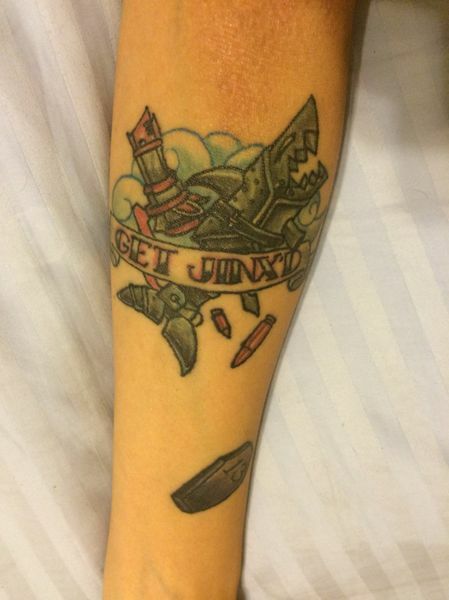 The art style of League of Legends certainly lends itself to quirky, fun, and immediately recognizable tattoos, and the leveling system, ranking system, and tournament award and trophy system opens up plenty of opportunity to let fellow League of Legend fans know exactly where you stand in the community through your ink!